Here is your weekly crimebeat round-up for Midlothian, as reported by Police Scotland. A youth has been arrested and charged following a suspicious fire in Dalkeith. The incident happened around 6.40pm on November 6 in the Newmills Road area. A 15-year-old male will now be reported to the Children’s Reporter. On November 7 officers observed a vehicle driving erratically along Cousland Road, Dalkeith. Further enquiry uncovered the driver was not insured, and was also driving on a revoked licence. The vehicle was seized, and a 27-year-old-male was charged, and reported to the Procurator Fiscal. On November 7 officers were called to a disturbance on Dalkeith High Street. A 19-year-old female was found to be in possession of cannabis, and a report was sent to the Procurator Fiscal. On November 7 officers observed a vehicle driving erratically close to Cowden Farm, Dalkeith. Further enquiry uncovered the vehicle was being driven without insurance. The vehicle was seized, and a 19-year-old male was charged, and reported to the Procurator Fiscal. On November 7 roads policing officers observed a vehicle driving erratically along High Street, Dalkeith. Further enquiry uncovered the vehicle was being driven without insurance. The vehicle was seized, and a 44-year-old female was charged, and reported to the Procurator Fiscal. A 26 year old man has been charged in connection with a housebreaking that occurred on November 9 in the James Lean Avenue area of Woodburn, Dalkeith. A report has been sent to the Procurator Fiscal. On November 10 a 39-year-old man was stopped by officers from the Community Action Team on Lauder Road, Dalkeith, and found in possession of cocaine. The male was charged in connection with the incident and a report has been submitted to the Procurator Fiscal. On November 10 Officers from the Community Action Team executed a search warrant at an address in Gorebridge, where they recovered a quantity of drugs, including heroin, cocaine and cannabis. 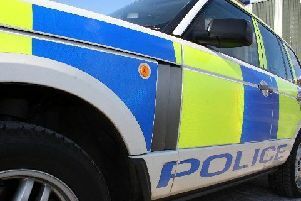 A 42-year-old male was charged in connection with the incident and reported to the Procurator Fiscal. A 35-year-old man was arrested and charged in connection with a theft shoplifting from Co-op, Hunterfield Road, Gorebridge on November 10. A report will be submitted to the Procurator Fiscal. A 34 year-old man was charged following the recovery of Class B drugs at an address in Penicuik on November 6. Herbal cannabis with a street value of approximately £2400 was seized along with a four figure sum of cash believed to be the proceeds of crime. The man is due to appear in court at a later date in connection with this. On November 7 an address in the Cuiken Terrace area was broken into, and various items taken from within. An 18-year-old male was identified through local enquiries, and subsequently charged, and reported to the Procurator Fiscal. On November 6 officers a 24-year-old man was found to be in possession of cannabis resin in McNeill Avenue, Loanhead. The male was charged in connection with the incident and reported to the Procurator Fiscal.